It’s a common fixture, certainly, but please don’t call it by its pedestrian name. 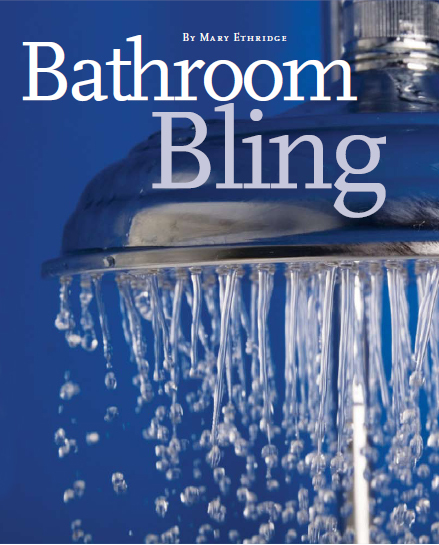 The up-to-date among us consider it jewelry for the kitchen and bath. so broadly known. That poses particular challenges for leading manufacturers that trade on a reputation for innovation and reliability, such as Moen Inc., a division of Chicago-based Fortune Brands (NYSE:FO). “They all carry water, but it’s how well they do it,” said Mike Malek, director of product development for Moen. Moen has meant major changes in everything from design and machining to sales and service. Moen must be doing something right. Last year, it was the first one of Fortune Brands’ companies to reach the $1 billion sales mark. It seems like a simple enough device, but a faucet is a complex melding of market analysis, art, chemistry and engineering. One thing it’s not: new. Archaeologists discovered terracotta pipes and gold faucets on Crete, dating to about 1,700 B.C. Nearly 4,000 years later, a creative group at Moen’s headquarters in suburban Cleveland is at work improving the beauty, economy, function, reliability and marketability of faucets. Judy Riley, vice president of industrial design for Moen, is a woman obsessed by faucets. It was just this sort of passion that led a college student named Al Moen to come up with a radical concept for a faucet. In 1937, according to corporate lore, he was working part-time in a Seattle garage to earn tuition money. One night, as he cleaned up, a sudden burst of hot water scalded his hand. In those days, all sinks had two spigots – one for cold and one for hot. People ferried their hands back and forth in an attempt to find a comfortable temperature. When Moen began to draw up designs for a single-handed mixing faucet, the initial response was, well, lukewarm. Moen’s first design was for a double-valve faucet with a cam to control the two valves. It was rejected by a major fixture manufacturer for a simple reason: it didn’t work. Moen then went to a cylindrical design. From that experience, he resolved to create a faucet that would give the user water at the desired temperature with a piston action. Between 1940 and 1945, he designed several faucets, finally selling the first single-spout faucet to Ravenna Products of Seattle. In 1947, Ravenna sold 250 units to a San Francisco plumbing supply house. The timing for Moen couldn’t have been better. As the post-war building boom took off, the demand for state-of-the-art home fixtures and appliances soared. In 1959, Fortune magazine listed the Moen faucet as one of the top 100 best designed mass-produced products of modern times, and in 1991 listed Moen faucets as one of “100 of America’s best” inventions. “My world is the unknown,” he said. He cites an example from recent years. The big thinkers at the company were wondering if there was something Moen, known as an indoor faucet company, could do to crack the outdoor spigot market. Loschelder’s team went about studying how people use their outside faucets. As the Moen team assessed the ways, it became clear that people wanted something they didn’t have: the option of hot water. Since Moen was a pioneer in controlling water temperature with a single handle, the team knew it could create and manufacture an affordable hot-cold faucet with one opening that could be installed without major alterations to an existing outlet. Once a market is determined, Loschelder’s crew, along with designers, manufacturing specialists and company liaisons to suppliers and retailers all gather at a meeting they call “Tollgate.” Similar in spirit to the well-known product innovation program called Stage Gate, Tollgate is designed to ensure that any potential problems are unearthed and handled at the outset of the project. Follow-up Tollgate meetings throughout the project are aimed at dealing with issues that have arisen and reassessing the potential for upcoming problems. It’s up to Riley’s design team to give the product its literal shape. She gathers a subset of the main Tollgate group, including designers, engineers and marketers, for an off-site meeting called a “sketchfest.” During a recent gathering, the group pondered the simplistic beauty in the way water pours from a pitcher: Just tip it down and the water comes out. 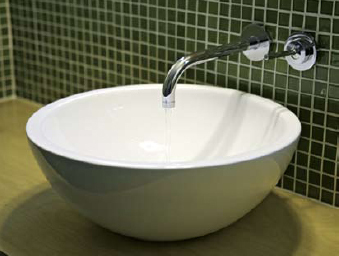 The idea was translated into a faucet with a pivoting spout now sold in the Asian market. Like all valuable brainstorming sessions, sketchfests sometimes border on hilarity. “We have a plenty of ideas that don’t make it, and some that provide a good deal of entertainment,” Riley said. Those that make it off Riley’s drawing board find their inspiration in the global fashion and, yes, jewelry industries. When noted clothing designers such as Ralph Lauren and Calvin Klein branched out into home accessories, the line between what we wear and what we use began to blur. As silver jewelry dominated runways in recent years, Moen increased its offerings of brushed nickel and stainless steel finishes, Riley said. One of Moen’s more recent series of palettes and designs – with Renaissance’s reds in ornate designs – was fueled in part by the popularity of the movies The DaVinci Code and Marie Antoinette. Pure white became a popular statement in recent years thanks in part to movies such as Chronicles of Narnia, The White Countess and The Woman in White, the company reported. This past year, eclectic blends of unique, elaborate styles and textures with colors such as purples, silvery blues and deep bronzed tones were big sellers. On the other hand, designers have turned to nature for inspiration as can be seen in the Bamboo offerings in its ShowHouse collection. Whether a product can actually be engineered and manufactured cost efficiently tends to weed out the outlandish. Once a sketchfest idea is accepted, it is made into a detailed scale drawing where it is analyzed by the team once again. If it meets expectations, a prototype is made, often using simply hand-sculpted foam. “In an age of high technology, there is still a lot of art in this,” said Riley. The valve bodies (the guts of the faucet) make up the majority of the machine hours, according to Jim Bluhm, vice president of manufacturing, global operations, for Moen. Various threads and nuts are also machined. The company is capable of and does most machining processes, but the majority of hours are racked up on screw machines. “The type of machining is both material and volume dependent. The majority of our machining is brass. The equipment selected is volume based. Lower volumes are typically CNC, while higher volumes are achieved with dedicated equipment,” said Bluhm. Bluhm said he routinely applies Six Sigma, the efficiency program developed in the 1980s at Motorola, as well as Statistical Process Control (SPC) to improve manufacturing efficiency. That could and has involved reorganizing the steps of production, switching suppliers and reconfiguring shop floors, among other adjustments. Such ongoing attention to the details of production has allowed the company to compete against foreign and domestic competition to become the number one faucet in North America. Brass is the most commonly used material for faucets because it is resistant to corrosion and calcification. It usually contains some alloying elements such as bismuth to make it easier to process. The majority of the other components that make up a faucet are made of other metals or ceramics and are received as finished parts from other manufacturers. With most machined faucets, the process starts with brass bars that are fed into a CNC machining center. The machine performs turning, milling, and drilling operations. Larger and more complex faucets may require as many as 30 separate machining operations. After machining, parts are ready for the finishing process. Components that came in contact with water are required to be cleared of lead. This involves a leaching process that eliminates lead molecules from the brass surface. The time-honored finish of faucets has for years been chrome, since it is highly resistant to corrosion. First, a base coating of electroplated nickel is applied, followed by a thin coating of electroplated chromium. The chrome layer is deposited from a plating bath containing additives that improve corrosion resistance. Moen uses a vacuum vapor process that attaches the metal or color at a molecular level. The faucets are then assembled, inspected and shipped. The entire process from idea to installation can take from six months to two years, depending on market variables and complexities of design. When Asian imports began to reach the U.S. fixture market in the 1990s, American companies such as Moen felt intense competitive pressure and were left with no option. They needed to learn to make pioneering faucets at prices that would hold their appeal on the shelves next to the imports. They knew one thing, said Ginny Long, director of corporate communications for Moen. They couldn’t and wouldn’t sacrifice quality for lower cost. “There’s a lot of equity already in the Moen brand,” said Long. The last thing they wanted to do was squander it. For Bluhm that means daily attention to machining to maintain high quality and margins. Faucets are marketed and sold a bit differently than a lot of consumer products. About 40 percent of sales are to wholesale plumbing suppliers whose customers generally know the difference between first-rate and schlock. “Plumbers and contractors understand the value of a product that won’t lead to call backs for them,” said Ann Beriault, director of account services for Young & Laramore, an advertising agency in Indianapolis with ties to the faucet industry. The other 60 percent are sold through retailers such as big box hardware leaders Home Depot and Lowe’s. Moen teaches those retail employees about the value of their products with the hope the message gets passed on to the average consumer. But sometimes consumers don’t even seek guidance. Beriault said sales of faucets in new construction and remodels are driven first by design and finish, then quality and brand. In the replacement market, cost-conscious consumers who find themselves having to make a surprise expenditure look to price first. It’s up to companies such as Moen to make the importance of high quality known to consumers. “One way to do that is the pervasiveness of the brand. When your brand is seen everywhere people go, they begin to associate it with reliability. It builds on itself,” she said. Although a slowdown in housing construction has dampened the overall housewares market, luxury and overseas sales – such as those to China – provide a brighter picture than one would imagine. Demand for plumbing products in the U.S. alone reached $10 billion in 2006 and is expected to grow two to three percent a year through 2010, no matter the downturn in housing, according to researchers at the Freedonia Group in Cleveland. Gains will be driven by applications in repair and improvement markets and continuing trends toward larger bathrooms and kitchens in new residential construction. Bathtub and shower fixtures and lavatory, kitchen and sink fittings offer the best prospects for the entire industry, according to Freedonia. Industry insiders said sales to China and other Asian markets are booming, although hard numbers for foreign sales are difficult to attain. place and the bathroom as a spa or sanctuary. Singer Alicia Keys, whose newest CD is a chart topper, said she frequently seeks her muse in the lavatory. “If I want to be alone, some place I can write, I can read, I can pray, I can cry, I can do whatever I want – I go to the bathroom,” she told a music magazine.